There are a number of things to consider when writing for an online audience and one of the main things to be aware of is how searchable your content is. Search engines trawl through sites sending crawlers out and pulling content into its ranking structure. The best way to ensure that your writing stands out on the web is to use Search Engine Optimisation techniques. Now, we’re going to assume you have at least a basic understanding of SEO. Effectively it’s a way to write that encompasses keywords and makes your content more searchable and easily found. It’s important to stress however that you shouldn’t be writing simply for SEO purposes and your writing should be of a high quality. View SEO as a tool and a formatting choice when it comes to the online world and you’ll likely utilise it better. This article then aims to help you get the most out of your writing and to do so we’ve listed 3 Affordable SEO software tools. This is a multi-faceted SEO tool that will help you to manage, monitor, and conduct SEO campaigns more effectively. Sheer SEO has broad capabilities, but it’s perhaps most useful for monitoring your rankings and how your link building efforts are impacting them. This isn’t an expensive option either and there are several different pricing schemes to ensure that you have choices to pick from. Sheer SEO has recommendations on its site but it’s worth figuring out what you need and then purchasing a plan accordingly. Rank Tracking – this lets users keep up-to-date with how their pages are being ranked for their desired keywords. There’s also an historical tracking option that allows users to follow trends that relate to their rankings over time. Users don’t need to export the data to a spreadsheet either. Main Referrers – this allows users to be aware of how many links they have and it lets them monitor the top 50. The information can be sorted either by the most referrals or by the “PageRank Boost” function. This isn’t simply the PageRank of the link, but instead it’s a specifically created metric designed by Sheer SEO itself. This metric will analyse and provide an estimation of how strongly the link in question impacts your rankings. Link Building – a “blog review” tool aids users in terms of productivity as it can partially automate the process of getting product reviews from blogs. There’s also a directory submission tool included, but this is really an outdated addition, but still, some may find it useful. Reporting – this is a useful tool for distilling information. Users will find it easy to put together data into an understandable report. This is particularly helpful for clients. This SEO tool is very affordable and price plans are either monthly or annually. W3Optimizer is well within the financial reach of small businesses and it has a useful tool that allows users to analyse competition for keywords in Google. It also aids businesses in the discovery of keywords used by competitors (top 10) in the search engine. W3Optimizer has a tool that provides on page analysis, and more detailed and in depth critique of your top 10 competitors. There’s also a very detailed off-page analysis of your links and the various contextual considerations that accompany them. There’s also a content optimiser that serves up advice, there’s some extras too (members online forum), and there’s a search engine snippet simulator. This is perhaps the best and most complete SEO tool in terms of value for money. For a small business, they can’t really go wrong with this option. SearchEnabler is really useful in terms of a complete site audit, there’s analysis as well as optimisation, and there’s a tracking option too. There’s a multi-user option that means you can use this service on more than one website but this option costs a little bit more. Domain Analysis – this provides users with advice on how to fix errors. It also helps them to optimise their domain for the popular search engine services. Website Crawl Analysis – another useful tool and one that keeps users up to date with how well their site is crawled and indexed by Google. This is important to be aware of as it directly affects a websites standing in the search engines rankings. Content Analysis – users can use this feature to discover any issues with their content such as duplicate titles, text, long or short titles, and much more. Content has to optimised for the internet and without a tool like this it can easily be formatted incorrectly. WebPage Analysis – yet another useful feature and one that lets users test how well their site is optimised for specific keywords. 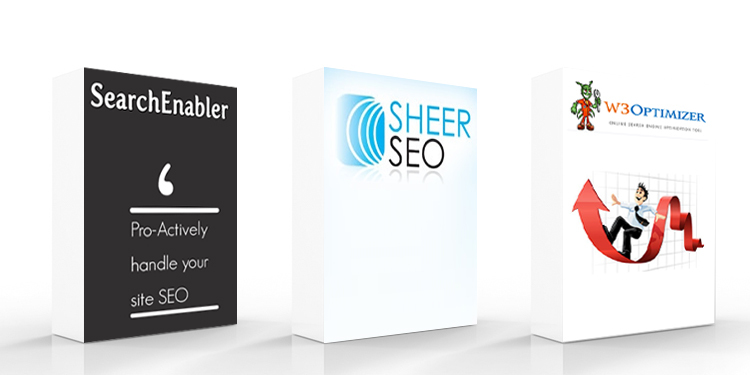 Keyword Rankings – users can use SearchEnabler to track keyword rankings and record the fluctuation and change over time. Users don’t need to export the data to a spreadsheet to analyse it. Link Analysis – users can track the number of links on their site, and the links gathered by competitors too. This function lets users detect broken links and helps users to recover them with the aim of benefiting search engines. Tracking – Google analytics is a useful (and necessary) tool that can be integrated through the SearchEnable service. Users can include Facebook, Twitter, and Google+ to track traffic and social media performance. SEO tools are incredibly useful and they can ensure that your site is indexed correctly. It’s also very easy to forget all of the diverse elements needed when optimising your site for search engines. Use tools to aid you and you’ll find that the technical side of running a website becomes much easier. Please note that this article does not constitute an endorsement of any of the products listed and these are to be used at your own risk.